This Ripple water feature shines bright with varying depths and textures that produce a ripple effect. 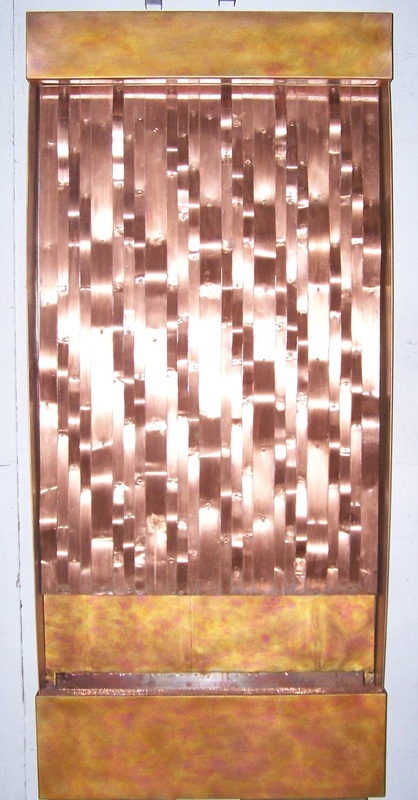 Made of copper and featuring an external flame finish coupled with natural finish upon the panel, this water feature illustrates the rolling waves of life. As water runs down the various depths and dimensions of bent copper, you may find yourself relaxing all the while pondering the journey of life.